Beaver Scouts are the youngest members of The Scouting Family and are aged between 6 and 8 years old. 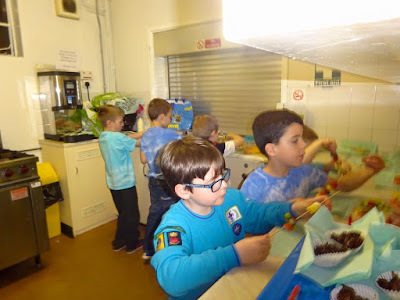 Our Beavers have a weekly meeting of 1 1/2 hour duration learning about the world around us, playing games, crafting and learning basic scouting skills like knots and cooking and putting up tents. They take part in district events such as dominoes tournament, St Georges Day activity, sports day, city hike and bi annual city camp. They have the opportunity to earn badges and gain the Chief Scout Bronze Award.